Shiv Sena MP from Maharashtra, Ravindra Gaikwad is in news. He allegedly abused, manhandled and physically assaulted Air India employee onboard an Air India plane at IGI Airport, New Delhi, Thursday, 23 March, 2017. Apparently, he was upset that he had to travel Pune-Delhi in economy Class. He refused to deplane at Delhi. When AI staffer requested him to do so, he was assaulted. News reports are stating that the AI plane did not have any business class as it was an all-economy class plane. This MP, when interviewed by the media, brazenly admitted the assault and refused to introspect and apologize. He justified the attack. Shiv Sena Party has asked for an explanation. Lok Sabha (Parliament) speaker has refused to take any action on Suo Moto basis, even though this news is literally in every newspaper. There is a huge uproar against MP’s behavior. A FIR (First Information Repirt) has been lodged with Delhi Police. Air India, IndiGo, SpiceJet, Jet Airways, GoAir and Vistara airlines have placed Mr Gaikwad in a no-fly list, which is a good beginning. That is not enough. Further actions are warranted. 1. Lok Sabha Speaker, Sumitra Mahajan, should initiate a disciplinary action. He should be suspended from Lok Sabha. 2. He should be ordered to undergo anger management course. 3. Delhi Police should review the video, conduct a thorough investigation and charge Mr Gaikwad. Nobody has any right to break the law. Nobody is above Law. 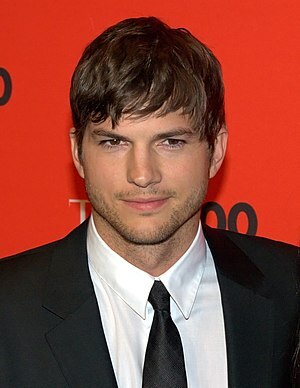 Ashton Kutcher Video, portraying “Raj” from Bollywood is funny, but not offensive! Ashton Kutcher’s funny video portraying “Raj” from Bollywood: http://youtu.be/DLdobzj_9_I Not sure what is the fuss about? Above is my tweet on Ashton Kutcher’s funny video. It is quite hilarious, indeed. Do watch it. There is quite a bit of fuss which some people have created about a video, in which Hollywood actor, Ashton Kutcher, portrayed “Raj” from Bollywood, with brown make-up, Sherwani , moustache, and accent. I thought he did try to look authetic as an “Indian”. It was all very funny. I did not see anything offensive in it and not sure why people should take offence to it. Ashton was not abusing India, Indians, Indian beliefs, Indian culture or Indian religious practices. Come on people, lighten up and learn to enjoy the funny side of life! Community politics by Indian diplomats not acceptable! I have been of double mind about writing this post for a while. I have raised this issue in Canberra on 17th Dec, 2011 when I participated in the meeting of Indian community leaders, organised by High Commission of India. High Commissioner of India in Canberra, Consul Generals of India in Sydney, Melbourne and Perth along with many other diplomatic staff and about 200 community leaders/media people were present in this meeting. I expressed my strong objections against politics by one Indian diplomat. So, what is it that I am concerned about? Guess no more. This is about community politics from one Indian Diplomat in regards to Uranium decision by ALP on 4th Dec, 2012 when ALP National Conference passed a motion to support sale of Uranium to India. Many from Indian Australian community had raised the Uranium issue with political leaders. It includes various community groups including ourselves and many individuals. 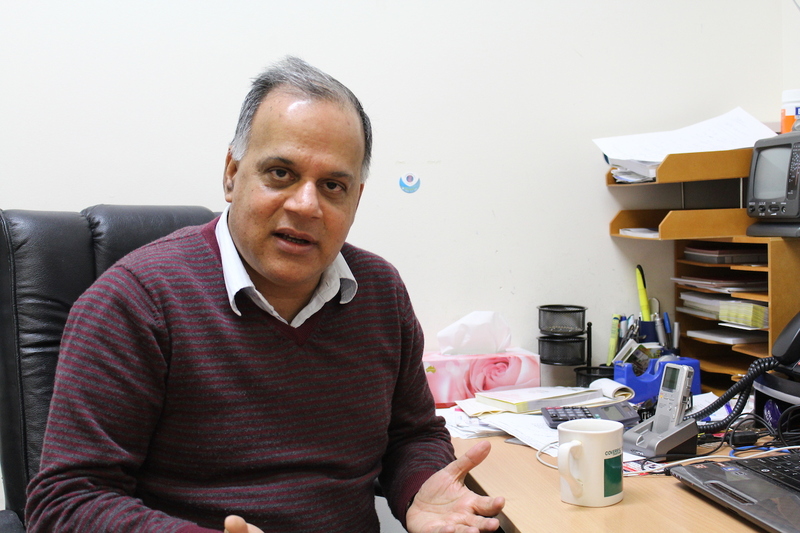 Uranium has been in the minds of Indian Australians. We all worked to get ALP reverse its policy to ban Uranium trade with India. I wrote about it in the Blog posts http://tinyurl.com/7bytnbo, http://tinyurl.com/2eumejb, and http://tinyurl.com/8yawduc since 2009, unlike others who appeared in the scene only recently. Despite all this, I believe Indian Australian community had only a minor role, if any, in this decision. Few individuals, however, with the active support of a Member of Parliament from Western Sydney had tried to claim credit for this decision. This Western Sydney MP has many Indian Australian voters in the constituency and will need support from them in the election in 2013. This MP has been actively working on the plan to “promote” one of these two and a few more from the MP’s political party to be recognised as Indian community leaders for obvious reasons. I am neither against this MP nor such people generally but I have issues with “manufactured” or “parachuted” leadership of anyone by anyone. Unfortunately, a senior Indian diplomat got involved in this politics too. I will explain it a bit later. A Link http://tinyurl.com/848v5b7 from an unknown Indian newspaper was sent to every one by an individual as a certificate of his claim that “he delivered Uranium to India”. They were even credited to shape the foreign policy of Australia! Even “Gandhi” connection was evoked indirectly, ignoring the fact that these gentlemen are just pushing the barrows for their political party! This is of course totally ludicrous and laughable. Talking about grandstanding, you can’t get a better example! This claim is incorrect too. This question was directly asked from Prime Minister by a journalist from Indian Down Under newspaper recently. She did not confirm it at all. Please visit The Indian Down Under newspaper [www.indiadownunder.com.au ], edited by Nina Badhwar here http://tinyurl.com/7pa5rp7 page 9. It definitely was not due to a few individuals who are claiming to have “delivered Uranium to India”, just like Mahatma Gandhi delivered freedom to India! Any such claim actually lowers the office of Prime Minister and must never be repeated or permitted. I do not believe Indian community in Australia had a major role in it. This was the opinion of the top Indian diplomat in Canberra too. We all made noises at every available forum but still, it was not instrumental in this decision. I asked a few MPs and even Resources Minister, Martin Ferguson about it. They too were broadly in agreement with the points I had listed earlier. They laughed when I told them about the claims for credit by a few individuals from Indian community. They denied it was the case. Indeed, we all did what we believed was our duty towards India, Australia and India-Australia relations. Taking Olympic motto, we all participated in it. We should be proud of that too. It would of course be wrong, inappropriate and unwarranted for anyone from our community to claim a sole or exclusive credit for it. Out of sudden, all Indian ethnic newspapers in Sydney and others were sent a link http://tinyurl.com/848v5b7 from an unknown Indian newspaper “Express Buzz”, which is not linked at all with or a part of reputed Indian national newspaper, Indian Express. “Express Buzz” article quotes an anonymous senior Indian Diplomat in Australia, attributing credits to two Indians for Uranium decision. Ms Devirupa Mitra, who is of Bengali background, of Express Buzz online newspaper gave a clear indication of this diplomat being male, thus ruling out High commissioner, Mrs Sujatha Singh. I had a discussion with High Commissioner about it and know for sure that it was not her who was quoted in this article. I contacted Ms Devirupa Mitra in India and asked about the veracity of the claims and the identity of the diplomat but she declined to reveal the source. I sensed her feeling of being “used” in the politics. She encouraged me to write to her when I asked her to retract the article. I did not write to her but will be sending this post to her. I have no doubt that this Indian diplomat “arranged” with Ms Devirupa Mitra for this story to be published in this paper. No other newspaper in India has published this type of story. This was an attempt to “manufacture” and “promote” leadership of “some” people in our community. Some here in Sydney have mistaken “Express Buzz” for “Indian Express” newspaper, which of course is untrue. “Express Buzz” has no link with “Indian Express” newspaper. I hope, Indian newspapers in Sydney can check facts before printing factually incorrect stories, sent to them by interested people. This senior Indian diplomat was so blind in his politicking that he ignored the work by anybody else. We have been raising Uranium matter for the last 4 years. I raised it in our Australia Day and Indian Republic Day function in 2010 where heaps of ALP and Liberal pollies were present. Senior Coalition leader, Joe Hockey, shadow treasurer declared the policy of Coalition to sell Uranium to India, putting ALP leaders on the spot light. This was the first such public announcement in our community functions. I urged ALP leaders to do the same as Coalition has done.We raised it in every function we organised and we raised it with every politician we met. I wrote Blog posts on it [see my Blog for details] and wrote an opinion piece http://tinyurl.com/6s7d7dx on pages 40-41 in Mining and Investment Australia Journal which is a reputed journal. I wrote two opinion pieces in FPRC Journal [Foreign Policy Research Centre, New Delhi, India], highlighting Uranium issue http://tinyurl.com/7dec8mu . Many others have done their bits all over Australia. This was all ignored by this diplomat in his blind desire to promote and glorify his friends. There are many theories and possibilities about the reasons for this promotion. Both the individuals, who this diplomat gave credits to, are members of Unions and are from ALP. I must clarify here that there is nothing wrong in being a member of any Union or ALP. That is not my concern as to which party they belong to, but I have serious issues when diplomats try to glorify them without any basis or truth, ignoring equal or superior claims for such accolade or credit for others. This is indeed wrong, unethical and dishonest. Both these individuals are close to one Indian diplomat for various reasons. Both these individuals are from Sydney. 1. Who is this senior Indian Diplomat? 2.Why is he playing this game? 3. Is it not political interference in our community? 4. Is he not playing politics in our community by “promoting”, glorifying and “propping” up two community members who are very close to him? 5. Is it not unwarranted, objectionable and offensive for a diplomat to play this type of politics? 6. What benefits he is getting? What is in it for him? No Indian Diplomat is owning up these false claims, when challenged. And challenged they were quite forcefully, both privately and publicly! A little more info before you made your own mind as to who this senior Indian diplomat is. There are 4 senior Indian diplomats in Australia. 1. High Commissioner in Canberra, Mrs Sujatha Singh-Served for 4 years and had just left for the posting in Germany. She is not this “senior diplomat” quoted in the paper. 2. Consul General in Sydney, Mr Amit Dasgupta-here since 2009. 3. 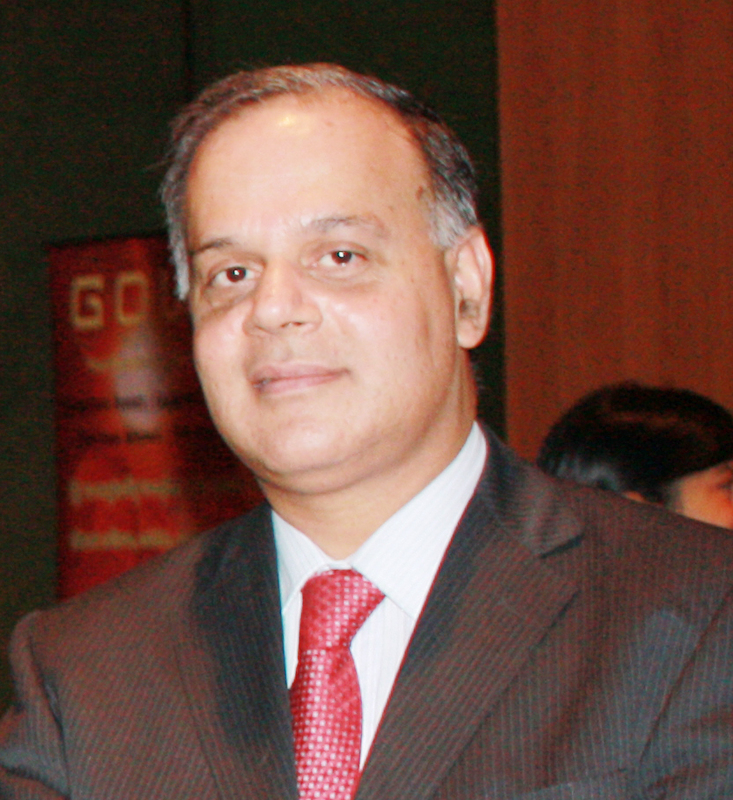 Consul General in Melbourne, Dr S K Behera-relatively new arrival in Australia. 4. Consul Gneral in Perth, Mr M. Subbarayudu-very new arrival in Australia. I have spoken with many people from our community and they all have expressed their disgust with politics played by one of the senior Indian diplomats. This is not within the definition of the core jobs of Indian diplomats. They are to stay away from community politics. They should not promote or prop up any community member [s]. Just in case you are wondering, I must clarify that it is not an one off activity. Indian diplomats must stay away from community politics, avoid playing favouritism game and conduct themselves in an impartial manner. If they are not careful, they risk harming the prestige of the position they occupy in Australia. If not heeded, this might well lead to complaints to the Ministry of External Affairs, New Delhi, Ministers in India and MPs in Indian Parliament. After all, Indian diplomats are not the only who can do politics. We too know how to do politics! Indian diplomats are here to represent Govt of India and help Indian Australians, when needed, but definitely not to do politics in our community! India wins. Thank you, Anna Hazare! Anna Hazare and his fast unto death at Jantar Mantar, New Delhi has attracted the attention of Indians all over the world. Almost every friend of mine in Australia has heard about it. The messages of support to this cause have been spread by Facebook, Twitter, Blogs and emails. Social media has again proven to be a powerful tool. Anna Hazare was not alone in this protest. Shanti Bhushan, Retd Supreme court Justice, Santosh Hegde, Swami Agnivesh, Baba Ram Dev, Sri Sri Ravi Shankar, Mallika Sarabhai, Kiran Bedi and RTI activist, Arvind Kejriwal were all with him. Millions of Indians were supporting him and numbers were growing by the minute. India media also supported him in this fight against corruption. As we all know, corruption has become a menace and a massive problem. You might recall Rajiv Gandhi saying famously that only 19 Paise out of the 100 Paise from the Govt money was reaching those who the money was meant for and rest was gobbled by the corrupt politicians and bureaucrats. It was 19 Paise in 1980s and I am afraid it might not even be 10 Paise now. Something had to be done! The Bill will be drafted by a 10 member committee, to be chaired by Minister Pranab Mukerjee and co-chaired by Mr Shanti Bhushan, a very reputed Jurist. Mr Bhushan, one may recall, is the same Barrister who fought a case against Prime Minister, Mrs Indira Gandhi in the High Court, Allahabad, which led to the judgement that her election was invalid. Lok Pal insitution will be chaired by people who are selected on merits and without political favour. It will be totally independent. I am very happy that Indian Govt was compelled to listen to the demands of the Indian People without use of force or bullets. That democracy is thriving in India is beyond doubt. What has been achieved is nothing but a milestone in the history of India! Having said that, there is a word of caution which we must not ignore. Some concerns have been raised about the accountability of the so-called “civil society”. “Who are they responsible and accountable to” has been asked. We need to remember what Edmund Burke, a famous member of the House of Comons, had said before. ” This cynicism about politics and, by extension, Parliament only makes you think ill of that very institution which, do what you will, you must religiously preserve, or you must give over all thoughts of being a free people”. In our system, we must not try to create an alternatives to the Parliament. Indian Parliament [SANSAD] must remain the ultimate source of power. It can’t be bullied or undermined by anyone. Parliament must remain supreme but must be able to listen to people, gauge their mood and deliver things which the country needs. It will undoubtedly have more chance to do so if our Parliamentarians are of superior quality-morally, intellectually and spiritually. That brings us to the issue of the process of election to the Parliament. This process needs to be reformed, improved and protected from corrupting influence of casteism, communalism and money-ism. India had witnessed a successful reform movement which has been termed a mini-revolution today but we need many more revolutions to get to a stage when we all can say “Mera Bharat Mahan or My India is great!” with utmost joy, satisfaction and pride. Corruption in India must be eradicated or at least controlled. The first stage has been successful but it would require a long and hard struggle to reach the final result. Lok Pal will be a giant step in getting the result. Smita Sharma, a senior journalist from IBN Live channel was in Australia recently. She has made this comprehensive documentary. She did a good job and covered the issues of Indian students in Australia and sought the comments of Indian Australians who have been here for a long period. Ravi Bhatia of AIBC, Vasan Srinivasan of FIAV, Anupam Sharma and myself were interviewed for this documentary. She managed to speak with some actors from a Bollywood movie on this topic [a Mahesh Bhatt movie which was being shot in Australia at that time] too with the help from Anupam Sharma. It is in HINDI. It is in multiple segments. It is a very balanced documentary. It is definitely worth a watch. John Howard should be renominated for ICC vice president from Oceania. I am outraged with the stupid comments in a section of Indian media in regards to Mr John Howard’s nomination as the Vice President from Oceania. TimesNow’s Arnab Goswami and this pompous character named Suhel Seth are on it again. They just love doing “Australia-bashing”. “Australia is a racist society” is their Mantra. Their coverage on students’ issue was pathetic, imbalanced and hysterical. I believe quite strongly that they are themselves racist against Australia. Why are they not using their brain, if they have it, to analyse an issue objectively. Australia is not a racist nation and its laws do not discriminate people based on race, gender or religion. I agree with Bishan Singh Bedi who disagreed with these two jokers and asked people to see things in a proper perspective and with objectivity. Here is a link of one of the reporting on this matter. Racism is everywhere. India is no exception. Australia is no exception either. Australia is indeed a successful multi-cultural country. Guys, racism is bad and abominable but reverse racism is no better. I hope people can understand this fact. People, please see this ICC and John Howard issue with a proper perspective. ICC position of VP is given by rotation. No election takes place for this position. VP becomes the President in 2 years. This year, it was the turn of Oceania to nominate its candidate. Oceania [Australia and NZ] nominated Mr Howard as its candidate. Cricket Australia and NZ Cricket had a vigorous selection process and the outcome was Mr Howard as their joint candidate. ICC board really has no option but to accept a candidate who was recommended by the region whose turn it was to do so. There is no doubt that it is India which is playing games on this matter. Sharad Pawar, the current president does not want a strong personality as the VP. That is the bottom line here. This is the reason why they have rejected Mr Howard’s nomination as the VP and asked Oceania to renominate a candidate by 31st Aug. Yes, India generates 70% of the money for ICC but it is not proper for any one to shred any organisation into pieces just because some one can do it. ICC must stop bringing more disgrace and shame to itself. It is entirely appropriate for Australian PM, Julia Gillard and NZ PM, John Key, to come out openly in support of their common candidate, Mr Howard for ICC VP position. John Howard is Oceania’s candidate. He is my candidate. He should be our candidate. It’s about time that ICC bullies are confronted assertively. Australia and NZ will do so by renominating him.